Today you’ll learn how to install and boot Kali Linux from a USB drive. 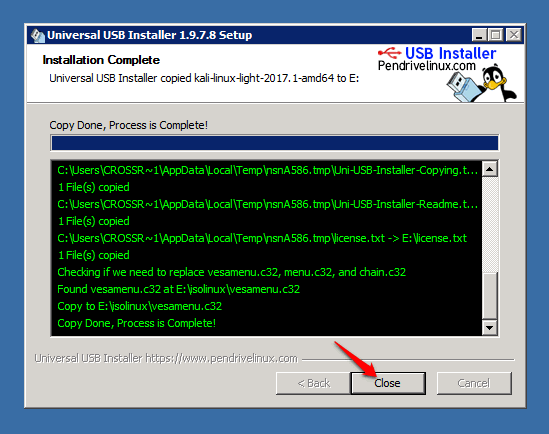 By the end of this post, you’ll have a USB drive with Kali Linux pre-installed that you can boot from any computer. You’ll also learn the steps on how to boot your Windows or Mac computer from a USB. You simply plug in your USB, boot the computer from USB, and you’re ready to get hacking. 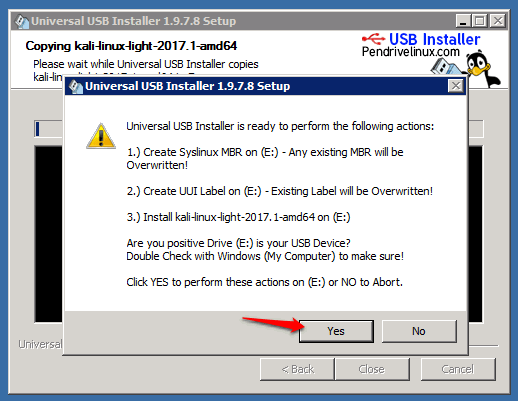 First, you’ll need to download Universal USB installer which is a program that lets you install a selection of Linux distributions on a USB drive. PRO TIP: You can install any linux distribution (not just Kali Linux) using this method. It’s a good way to learn and experiment with different distros. Next, you’ll need to download an image of Kali Linux. You can download it from the Kali Linux website. Now, you’re going to install Kali Linux on the USB flash drive using the program we just downloaded. If you haven’t already, plug in your USB flash drive now. 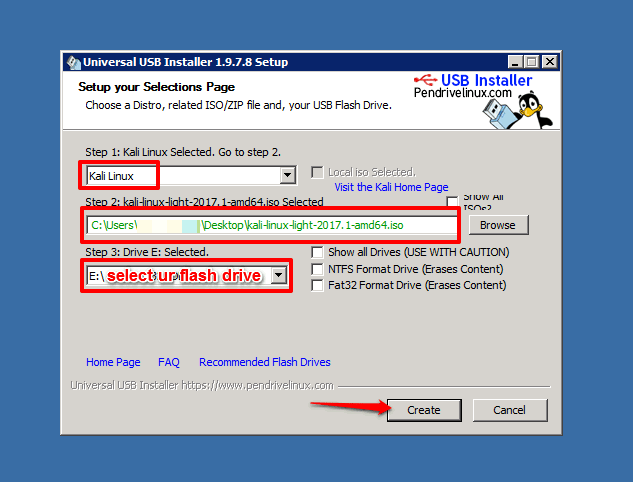 PRO TIP: If you’re unsure which drive is your USB, open up “My Computer” then re-plug in your flash drive and you’ll see which drive it appears as. Depending on the write speed of your flash drive, this process might take awhile so just be patient. Now you’re going to boot your computer from a USB. 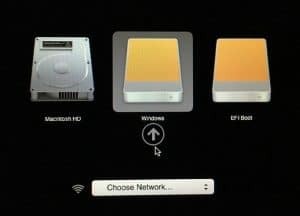 Booting from a USB on a MAC is much simpler than Windows. 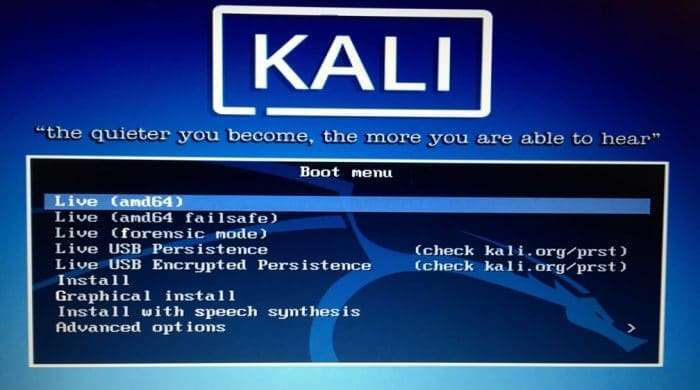 After booting from USB, wait for it to start up until you see the Kali boot menu. What is Kali Linux Live? During a live session, any changes you make, files you download, packages you install, etc – all of it will be deleted the moment you end the live session and unplug the USB. Each time you start a new live session, you’re starting from a clean slate. In order to save any data or changes you make during a live session, you need to configure Persistence on your USB which I’ll be covering on a separate post. That’s it! Now you have Kali Linux in your pocket (or wherever you keep your flash drive), and you can launch it at any time and at any nearby computer (that supports booting from USB).